Unfortunately our 2nd Saturday work day was postponed in January due to weather so the committee didn’t get a lot of physical work completed, but did meet to discuss future plans. If you can remember, some areas of St. Louis received eight plus inches of snow that weekend, so for safety reasons we called off the work day. The work to be completed in January was pushed to February at the 146.940 and 442.100 site. We are still looking for someone with woodworking skills to help build a small box from plywood to securely house the duplexers for these systems with a lockable top or side door. During the month of January the committee met with the main software project manager of the AREDN project. 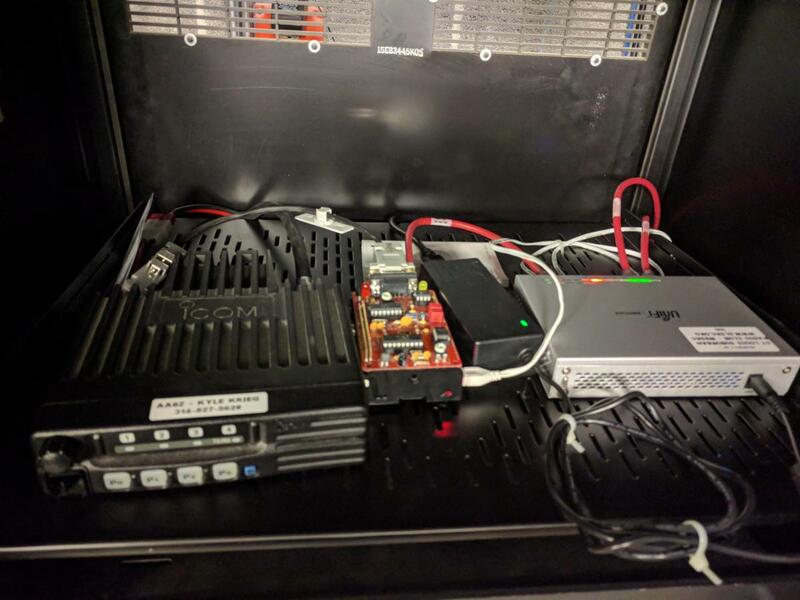 AREDN is the mesh networking technology we will soon be deploying at all our repeater sites to create a private ham band network for communication. We discussed everything from hardware pros and cons, what ham band(s) would work best for us, how we could implement a backbone strategy with our current point to point links and other misc items. It was a very good discussion with lots of knowledge transfer. The team will be purchasing Ubiquity sector antennas and flashing them with the ARDEN software in the coming months to start testing. 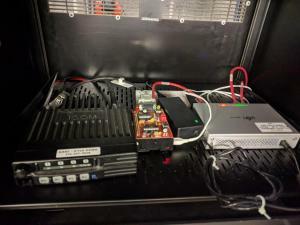 The Engineering Committee will use the $675 from the Vertex sale plus an additional $175 of budgeted money to purchase a new DR2-X Fusion repeater with a IMRS ethernet board. We will then play musical repeaters in the next few months. 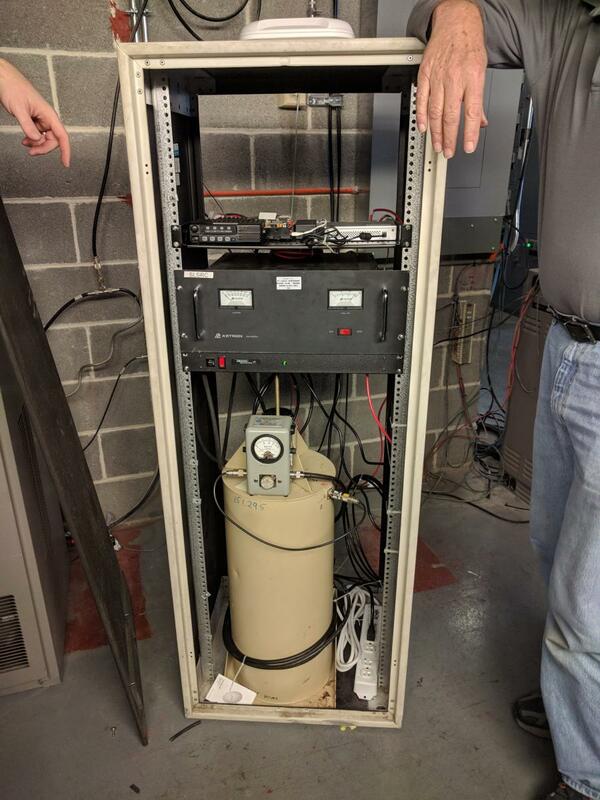 The new DR2-X will be installed at the 443.075 repeater which will be our WiresX node. The DR1-X Fusion currently installed at the 443.075 will move over to the 442.100 repeater which is currently a Vertex 5000. We will then see if the North Dakota club would like to purchase that Vertex repeater for an additional $225. 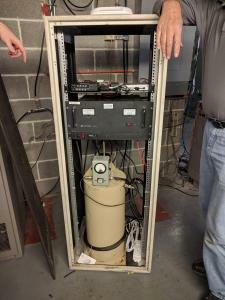 In December 2018 the committee installed a filter at the APRS node located at Missouri Baptist Hospital. This filter was to help block the pager transmitter that is 20 feet from our APRS station. 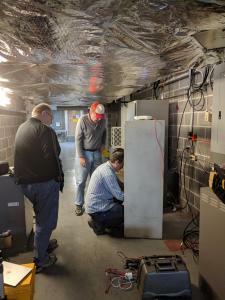 Below are pictures from the install. The committee is still monitoring if the filter is helping, which I’m sure it is, but is it hearing more APRS packets? We are still analyzing logs and will report later. Next PostSLSRC’s Meeting, Friday, Feb. 22nd, Presenter-Thomas Laybourn (KEØSGU) – A Teacher’s Perspective on Amateur Radio as a Teaching Tool and the Path to Get There.